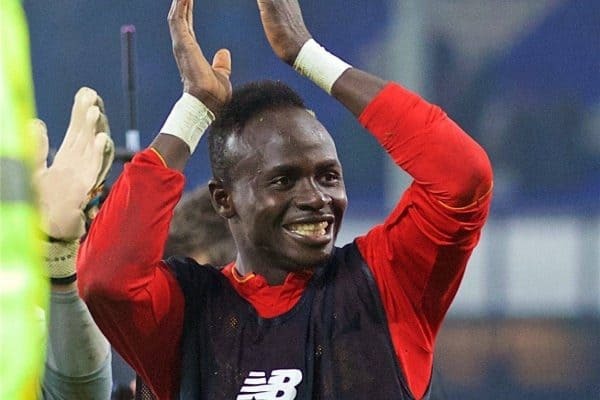 Jurgen Klopp is confident Liverpool can cope without Sadio Mane while the attacker is away on Africa Cup of Nations duty in January. Mane’s last game before joining the Senegal squad in Gabon is against Sunderland on January 2, with the 24-year-old available for the Reds’ next three fixtures. Beyond that, Klopp could be without his £30 million summer signing for eight games, including both legs of the League Cup semi-final against Southampton. Mane will also miss crucial Premier League clashes with Manchester United and Chelsea, leaving Liverpool to continue their title charge without their top scorer. 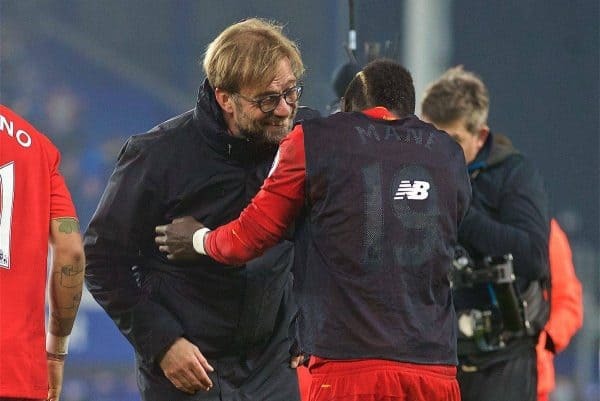 However, speaking ahead of the Reds’ home encounter with Stoke City, Klopp explained that there is a plan in place to cater for Mane’s absence—both in-house and, if needed, in the transfer market. “In winter, if you don’t have the biggest injury issues in the world and you need players to build a lineup, then you should only do things you would do in the summer too,” he said. “Otherwise you solve a problem for half a year then have another one in the summer. “We always have an eye on the market, always, but it doesn’t mean we can do what we want. “First of all I’m really happy with the squad. “Of course, in this moment Phil isn’t involved, from the beginning of January, Sadio isn’t involved. We can do things, change systems. “Especially with Sadio we knew before it’s part of the deal, we get this outstanding player who unfortunately won’t be involved in January. “In this moment you can’t be sure we’re prepared but it doesn’t mean we’ll do something. Mane, who has scored eight goals and assisted another seven so far, will be a major loss for Klopp in January, with few other like-for-like options in his squad. But as Klopp continued, he suggested that if there were, Liverpool would not enjoy the same harmony, with Mane’s deputies agitating for game time. “What does Sadio play? As a winger, if you want. A very offensive player, who can do everything,” he mused. “We don’t have five other wingers, but if we had five other wingers we cannot have the team we have in this moment with the atmosphere we have in this moment. “How I said, you can’t have everything. We decided to do this. “[We are] a little bit unlucky with other injuries, but as I said we can still play different systems, a lot of our players are really versatile. “The players need to be open, and I’m sure they are. We need to really show this. “We cannot change the football in this moment. Sadio is away, we need to find soltuions. 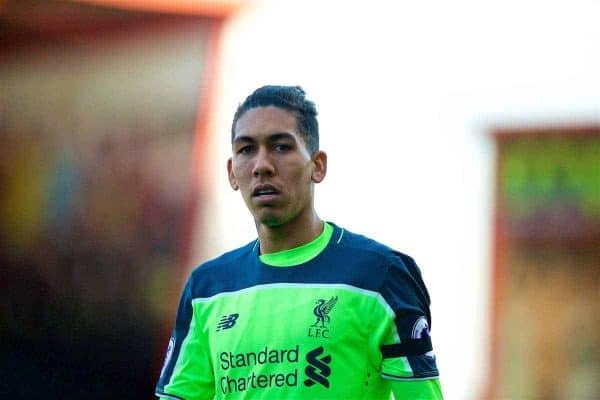 Roberto Firmino has been utilised out wide in the absence of Philippe Coutinho this December, and could potentially be shifted onto the right when his compatriot returns from injury. Daniel Sturridge and Divock Origi are available as centre-forwards, and Klopp could also turn to academy star Sheyi Ojo as a wide option. With Borussia Dortmund ruling out the sale of Reds target Christian Pulisic, and Julian Draxler set to seal a move to Paris Saint-Germain, this seems the most likely scenario. As Klopp explained, Liverpool do have other players able to cover for Mane’s absence, but the German will no doubt acknowledge the magnitude of his No. 19’s departure.